Where would we be without content? Creative production is still the buzz (thank goodness!) and we’re glad to be in the thick of it. Even gladder to be asked our opinion on the matter. 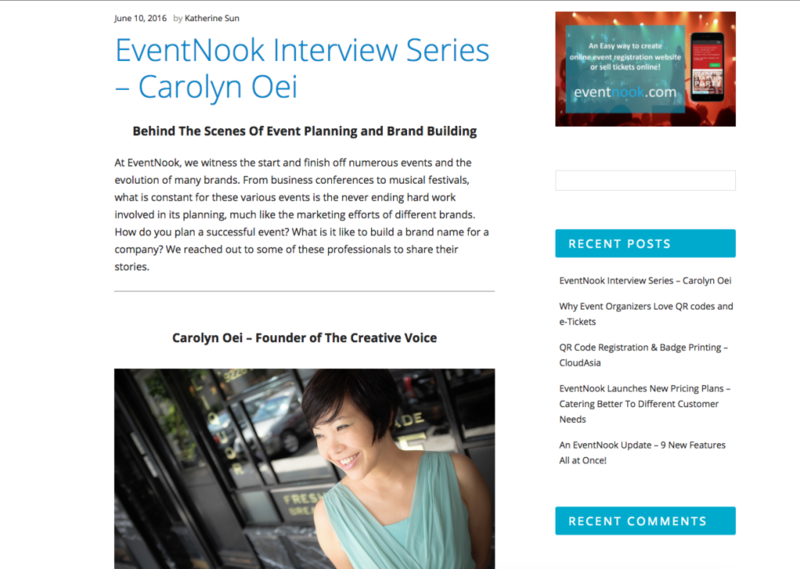 EventNook, the event and ticketing platform, spoke with Carolyn about her creative process, motivations and ideas for change in the industry. ← What’s Happening In 2016?